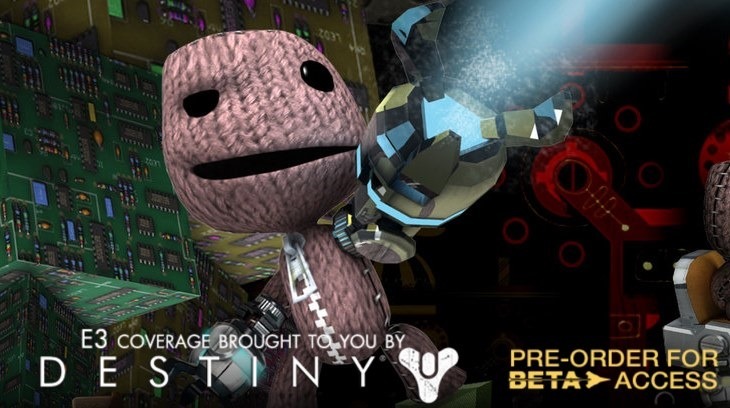 Sony announced LittleBigPlanet 3 to huge applause at their E3 conference and showcased a number of great improvements to the platforms platformer of choice. The first up was the announcement of 3 brand new friends for Sackboy. First up we have Toggle who is the strongest of all the characters and can push things out the way, but he can also shrink down at the touch of a button which opens up some great puzzle options. We also have Swoop who has the ability to fly and more importantly, the ability to carry friends over certain sections, but just don’t let Toggle get big while carrying him else you are both hitting the ground. Lastly we have Oddsock, which bizarrely is the nickname that Geoff used to use while playing Gears in the early days. Oddsock’s ability is wall climbing and as you watch the demo, you will see that it looks quite difficult. The game’s look and feel is still the same however they have added a lot of depth to the levels, and the puzzles on show were really quite intelligent and nicely designed. What’s even nicer to see is that all the levels that have been designed by users of LittleBigPlanet 2 will be fully available to play in LittleBigPlanet 3 which immediately grants you a huge library of levels for brand new players. They mentioned this game is going to keep families happy this Christmas so keep an eye out for a November release date.